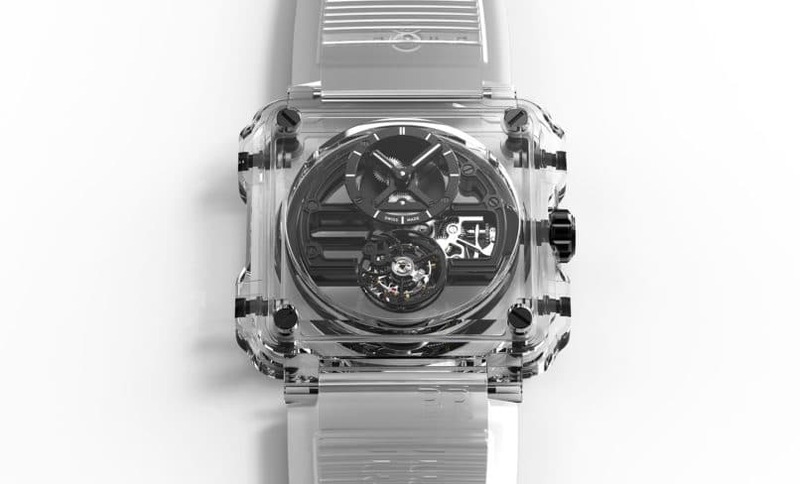 The case is clear: translucent watches are really cool right now. They’re extremely intriguing to look at, they inspire a geeky insight into a crazy horological feat, and they go with almost any outfit or look that comes to mind. All this because the case literally is clear. 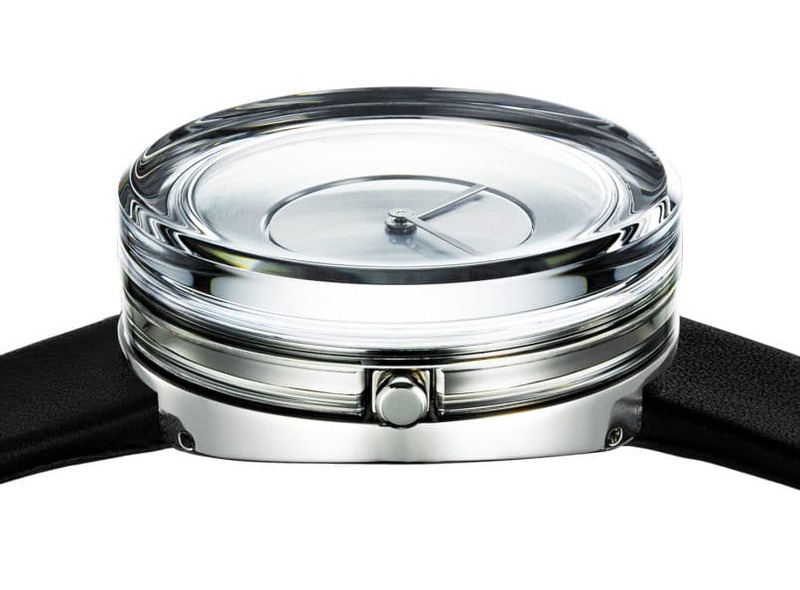 As in, the timepiece is almost fully transparent. Most commonly made with sapphire crystal (which, mind you, is the second most durable material after diamond), translucent watches have been cropping up as the hot sister to the trend of skeleton watches in recent years. Gone are the days when your wrist companion tick tocked along the hours in hidden winding beneath the case surface. People want to see the movements, admire the tourbillons, and count each of the immaculately placed screws. 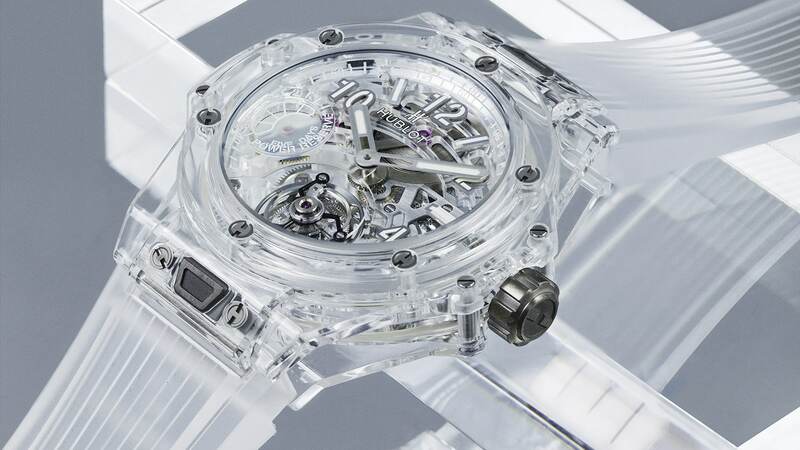 Transparency is so hot right now: in life, in society, and in watches. Yet beyond the aesthetic poetry of a transparent watch, these actually pose quite the conundrum of corundum (which isn’t a tongue-twisted typo, it’s the scientific description for sapphire). Sapphire is an incredibly difficult substance to work with, requiring a highly technological process and expertise. This has resulted in sapphire crystal case watches to be extremely rare, and extremely coveted in the iconic designs of the watchmakers who succeed. Oh but those who do succeed! Balancing a strength of materials with the delicacy of complete transparency, take a look at some of our favourite translucent watches of the minute. They may be almost entirely see-through, but they will certainly rack you in some very visible high style points. 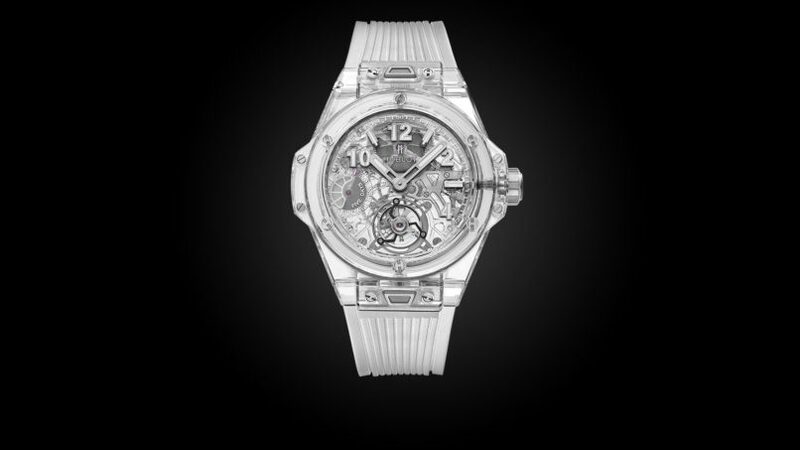 Beginning our list with a true banger, the gorgeous Hublot Big Bang Tourbillon Power Reserve 5 Days Sapphire (approx. THB 4,876,895) caused much buzz after its unveiling at the beginning of the year. The 45mm timepiece is almost entirely transparent, featuring a polished sapphire crystal case, middle, and bezel. The skeleton movement almost appears to be floating, with a dial of opalescent numbers, index, and power reserve indicator, adding to the precious purity in design of the piece. Complete with a translucent structured rubber strap, the limited edition watch looks almost wholly transparent when worn on the wrist (almost). A beautiful one for minimalist designaholics and watch nerds, the Bell & Ross BR-X1 Skeleton Tourbillon Sapphire Black (approx. THB 15,075,155) marries the brand’s signature square case with a creative transparency. Made from five blocks of sapphire that have been carefully and precisely assembled, the unique 45mm timepiece features a black hand-wound skeletonised tourbillon movement at 12 o’clock and a flying tourbillon at 6 o’clock, all visible from any angle on the case. To complete the invisibility clock cloak, the strap too is made of translucent rubber, with Superluminova-filled hour and minute hands floating over the dial – making the watch even cooler-looking (if possible) in the dark. Can you even call yourself a true trendy hipster if you don’t own at least one Casio watch? 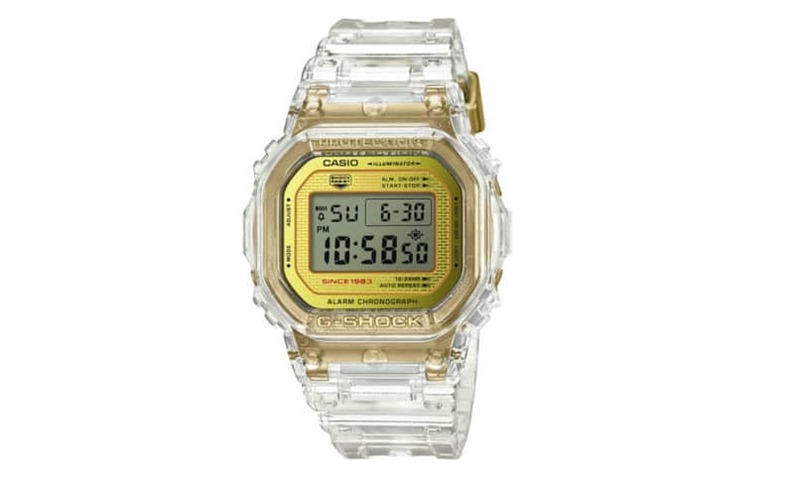 Celebrating the 35th anniversary of the iconic G-Shock models, Casio has unveiled this special Glacier Gold watch (approx. THB 7250), featuring a translucent strap and bezel, as well as gold IP accents on the dial, buckle, band keeper, and special commemorative case back. Bringing a flair of the G-Shock’s much-loved brick pattern, there’s certainly a vintage vibe about it, with the icy coolness only a glacier-inspired timepiece can bring about. It turns out, even digital watches love a surf on the wave of the translucent trend. 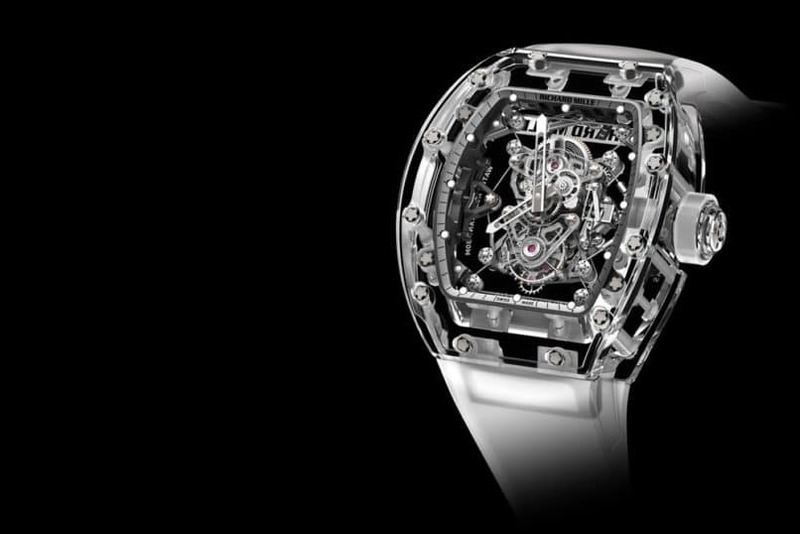 The definite jaw-dropper on our list, Richard Mille’s RM 56-02 Tourbillon Sapphire (approx. THB 66,585,260) comes in a limited edition of only ten pieces. The watch features an entire case made from solid blocks of sapphire, with the tourbillon, barrel, and centre bridges made from sapphire crystal. The baseplate has also been finished in grade 5 titanium – a highly resistant material – making it ideal for uses in the aerospace, aeronautic, and automobile industries. Further highlights include the variable inertia and free sprung balance, barrel pawl with progressive recoil, and the winding barrel teeth and third-wheel pinion with central involute profile. A little confused by the technical jargon? Here’s the takeaway point: the RM 56-02 is an incredible mechanical marvel, and a strong watch for a strong individual – who doesn’t mind being completely transparent about it. There’s something sublimely serene about transparency, and with the Issey Miyake Glass Watch (approx. THB 14,360), renowned Japanese designer and artist Tokujin Yoshioka truly captures this essence. Encasing the dial and its hands in clear glass, the timepiece is a simplistic and yet richly expressive item, exuding something beautifully poetic and peaceful about it – almost as if time were to stop entirely. As Yoshioka states, the “solid glass watch is a sculpture of light which transcends human senses.” We feel cleansed just looking at it. You’re welcome. Independent watch brand Rebellion may not ring many bells to the uninitiated, but a glance at the Magnum 540 Grand Tourbillon (approx. THB 58, 746, 290) can be quick to change that. Whilst featuring a sapphire case like many of the other watches on our list, this model also includes a host of materials commonly found in race cars, from magnesium and carbon fibre, to titanium and aluminium. 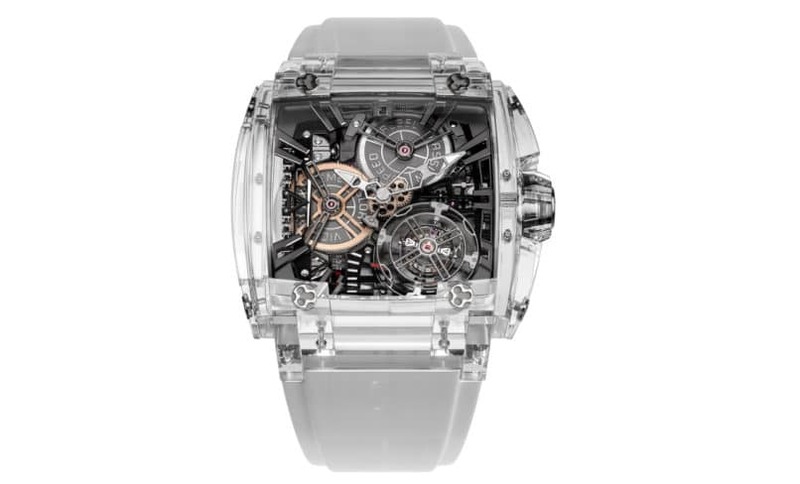 The star of the watch is undeniably the oversized 17.2mm flying tourbillon, housed within an aluminium alloy cage. All the gaskets are also made from clear silicone, allowing the transparent design element of the timepiece do what a translucent watch does best: provide a highly visible platform for all the showing and bragging rights.